England were leading Ireland 13-10 at Twickenham, with three minutes to play, when visiting wing Dave Kearney received the ball and went haring off up the left flank. The closest defender was England lock Joe Launchbury, so all the sensible money was on Kearney to out-pace him and claim what might have been the winning try. However, Launchbury gritted his teeth and ran for his life, then, just as Kearney was about to pull too far ahead, the lock dived and reached out with a long arm and just managed to tap the fast-disappearing foot of the Irishman. 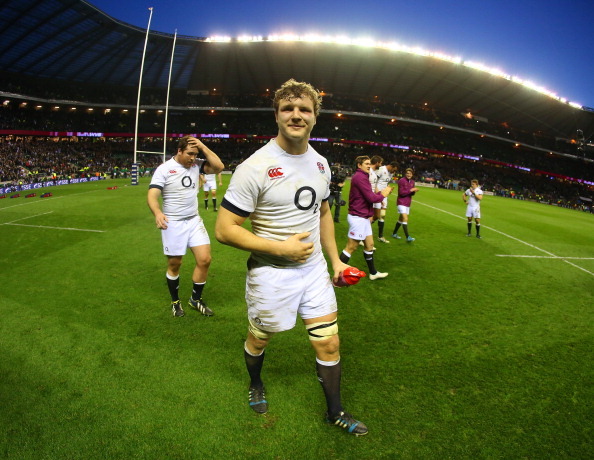 It was enough to bring Kearney down and England were able to snuff out the attack and go on to win the game. Scotland had made a miserable start to the Six Nations Championship, losing to Ireland and England in their first two matches, and they were trailing 20-18 in Rome as the final minute began. The Scots had put in a much better performance than in previous weeks, but Italy looked like stealing the spoils. However, Scotland were in possession and the pack managed to engineer a field position from which outside-half Duncan Weir could take a shot at a drop-goal. The Glasgow No 10 struck it with the composure and accuracy of an Olympic marksman – and the courage of a skeleton bob rider – and earned a 21-20 win for Scotland. Weir could easily have been a sinner after he wasted a good try-scoring chance in the first half, trying to do too much before passing to Sean Lamont outside him, but instead he is Scotland’s hero thanks to his demon drop-goal. Under pressure after a poor performance against Ireland two weeks ago, Wales needed a big performance against France and they came up with the goods, winning 27-6 in Cardiff on Friday. No one made a bigger contribution to the Wales cause than their captain, Sam Warburton, who has had an up-and-down season but was at his very best this time. The openside produced more turnovers than a Scandinavian bakery, showed great leadership and topped it all with a try, darting round the side of a ruck and dragging two defenders to the line with him. Denuded of the majority of their first-choice players by the RBS Six Nations, Leinster still picked up a maximum five points from their RaboDirect Pro 12 clash with Cardiff Blues. And no one headed home from Cardiff to Dublin in a happier frame of mind than Leinster Academy No 8 Jack Conan, who scored a try and picked up the Man of the Match award in his first senior outing for the province. The 34-22 victory put Leinster top of the table for a couple of days, but Munster overtook them again on Sunday by beating the Ospreys 25-11. France full-back and Brice Dulin and scrum-half Jean Marc Doussain helped Wales get off to a stunning start at the Millennium Stadium when their two-pronged mistake let George North snaffle the first try after five minutes. Dulin slid through to claim a loose ball under pressure from North, but failed to hold onto it when Doussain came piling in and walloped is team-mate on the head. 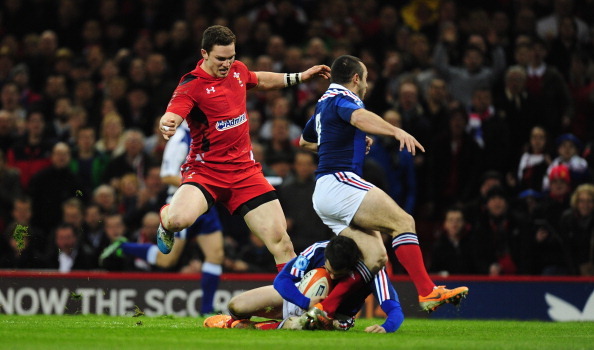 All North had to do was touch down, and Wales were 8-0 up. The BBC’s policy of impartiality seems to go out of the window and over the horizon when it comes to their coverage of Wales rugby matches. 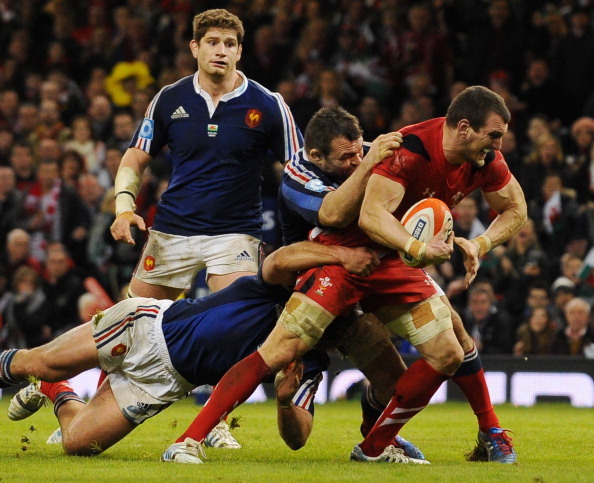 For Friday’s clash with France the Beeb fielded an all-Welsh commentary and co-commentator trio of Eddie Butler, Martyn Williams and Jonathan Davies. Presumably the theory is that not many French viewers will be watching, so there is no need for a balanced view, but when you hear commentators laughing at French mistakes, as this trio did when a Pascal Pape knock-on denied France a try, it really is too much. Not everyone watching the match would want Wales to win and the BBC has to make more effort to present a neutral picture. Jack Nowell has done a lot of great things since he took up his spot on the Englang wing during this Six Nations, but a moment of indiscipline led to England conceding a try against Ireland on Saturday. He was penalised for needlessly pushing Dave Kearney, Ireland kicked to touch and from the subsequent attack sent Rob Kearney scorching through for a try. Hopefully the young wing will learn a lesson from that.